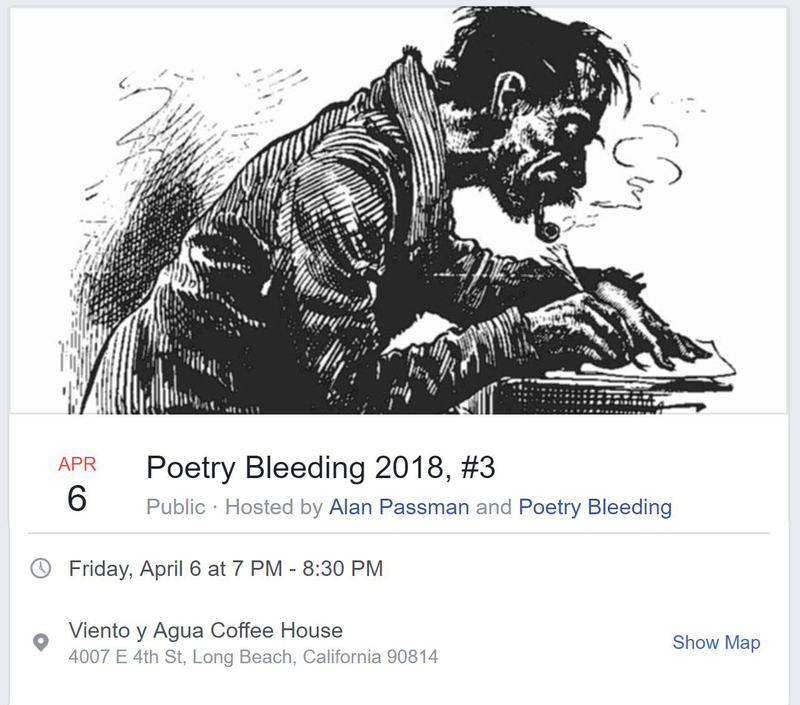 I really exicted to be doing ONE MORE last co-feature with my dearest poetry dad, G. Murray Thomas at Poetry Bleeding on Friday, April 6, at 7 pm. This one will have special guest host, Dave Russo, while Alan Passman recovers from a kidney transplant (GO ALAN!!). The divine, Robin Axworthy will also be joining us. The event will be at Viento Y Agua Coffeehouse, 4007 E. 4th St. in Long Beach. Check out the FB page for more details.